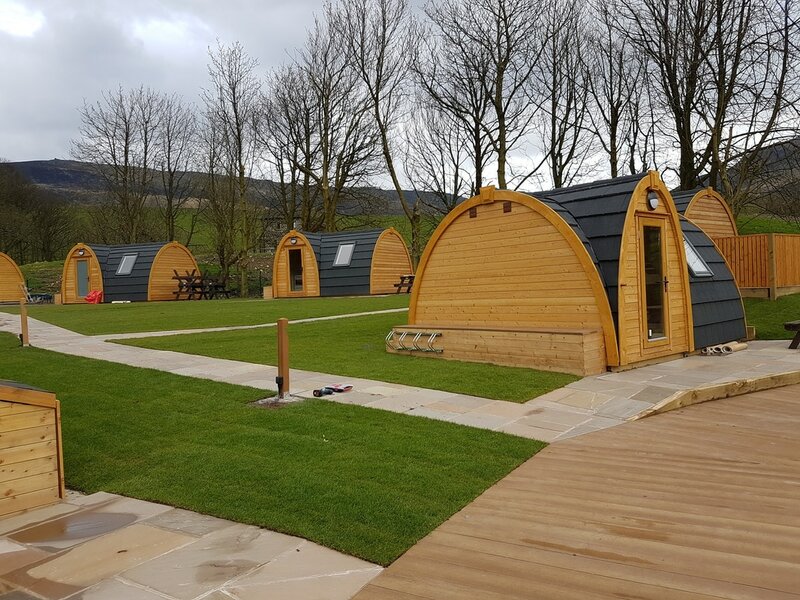 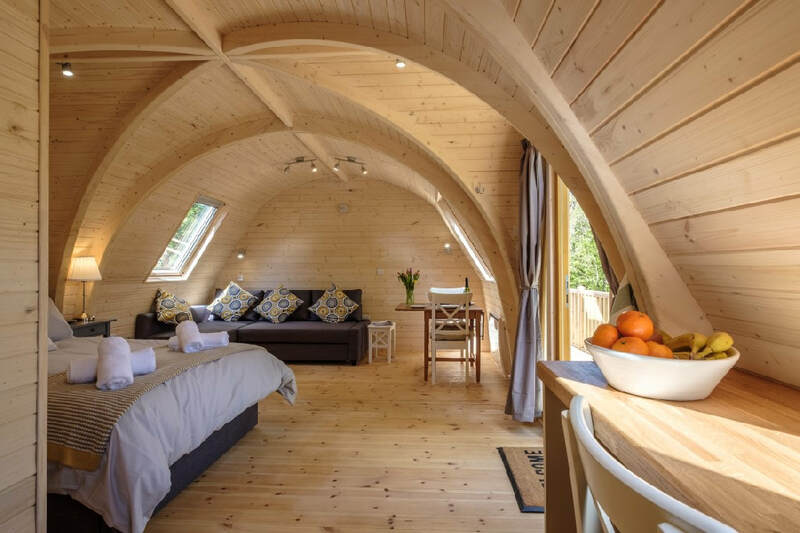 Whether you want to buy or lease these great new stylish luxury glamping pods are for sale and are destined to lead the market in luxury camping rooms, bed and breakfast accommodation or even hotel and extra holiday rental rooms. 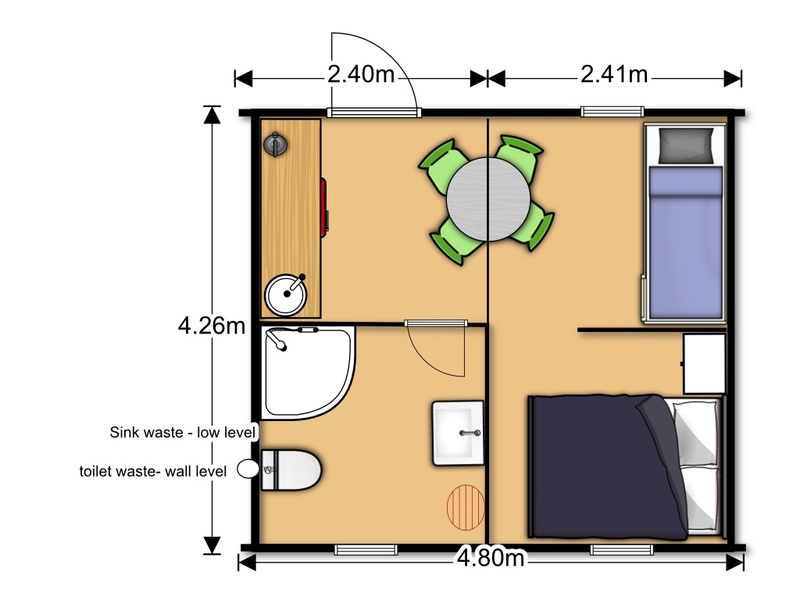 This chic pod style accommodation can have a bathroom, kitchenette, one or two bedrooms and lounge area. It isn't a mega pod, it is bigger and more spacious than that, try a Gigapod. 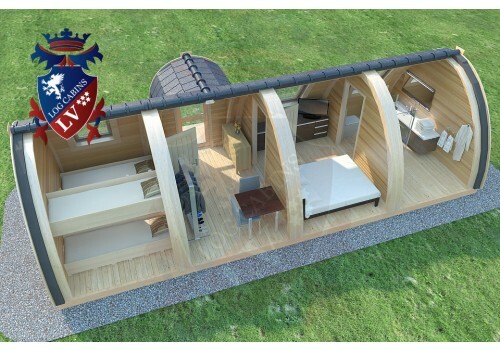 It is a fantastic design by our manufacturer aimed at extending their lead in the camping pod market. 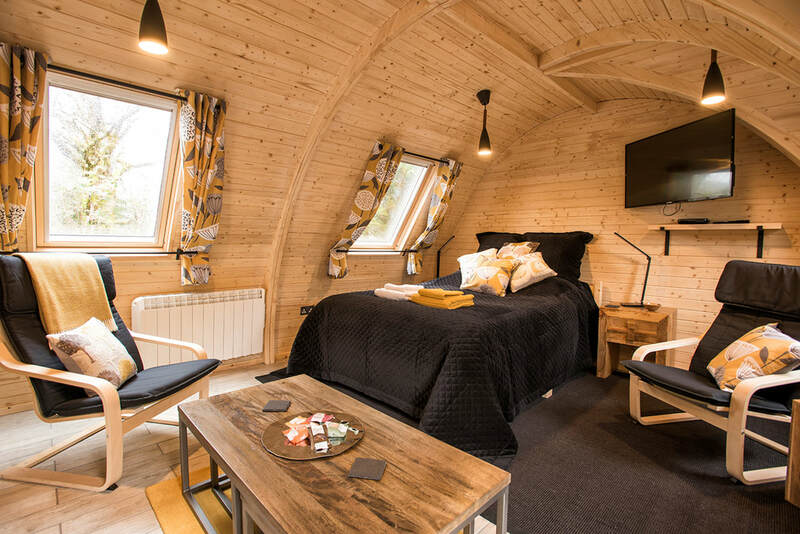 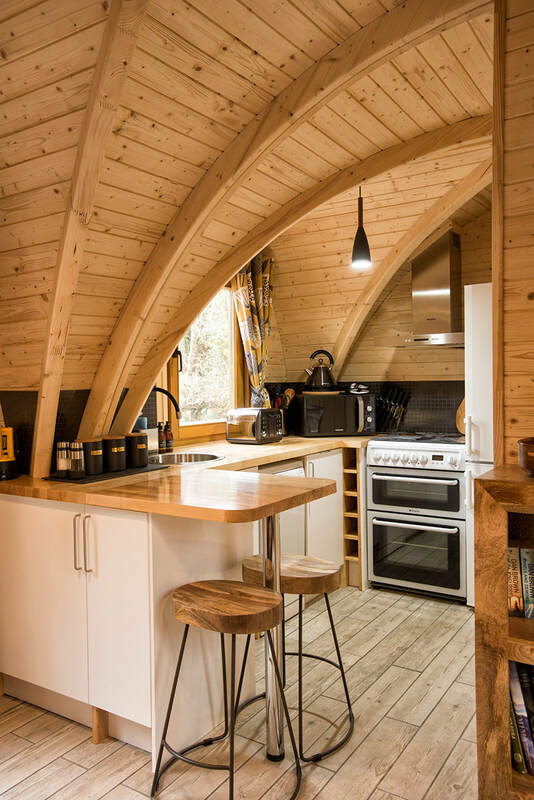 Logcabins.LV are probably the world's leading pod manufacturer and are proud of their quality, innovation and flexibility to meet market demands. 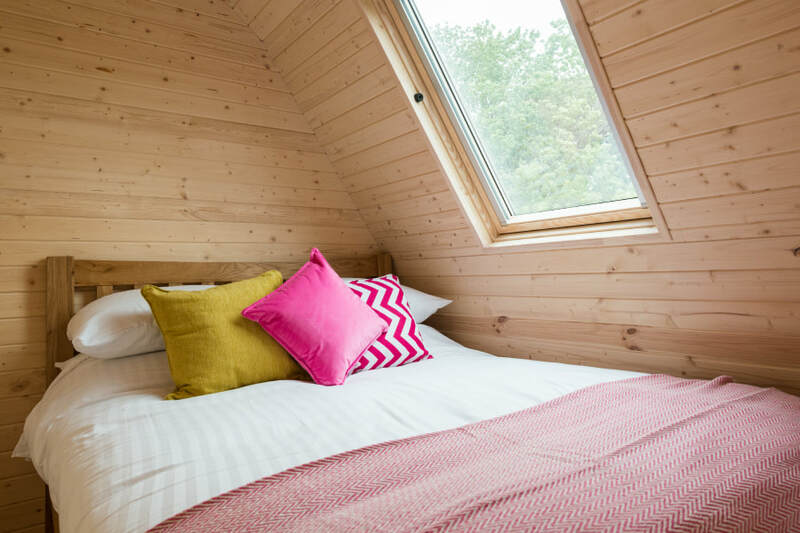 Full residential quality and even a coax cable installed. 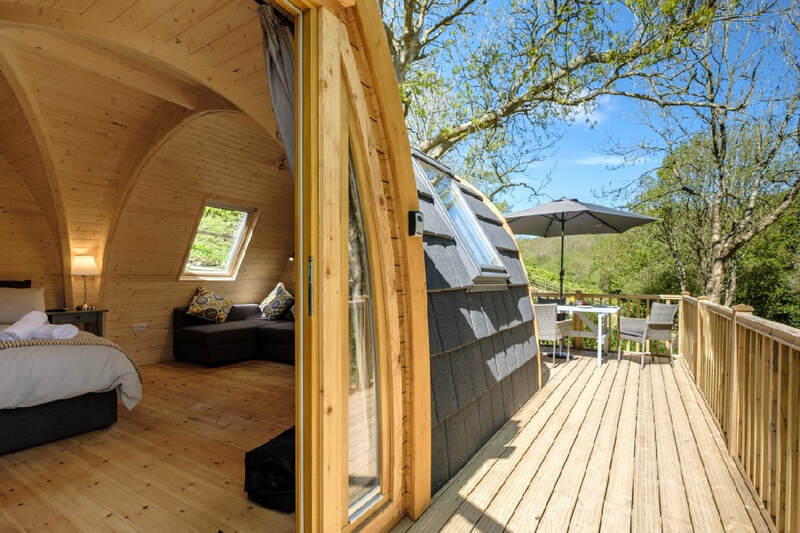 Each of these super sized pods are available to fit out with standard or boutique furniture to match your dream blueprint. 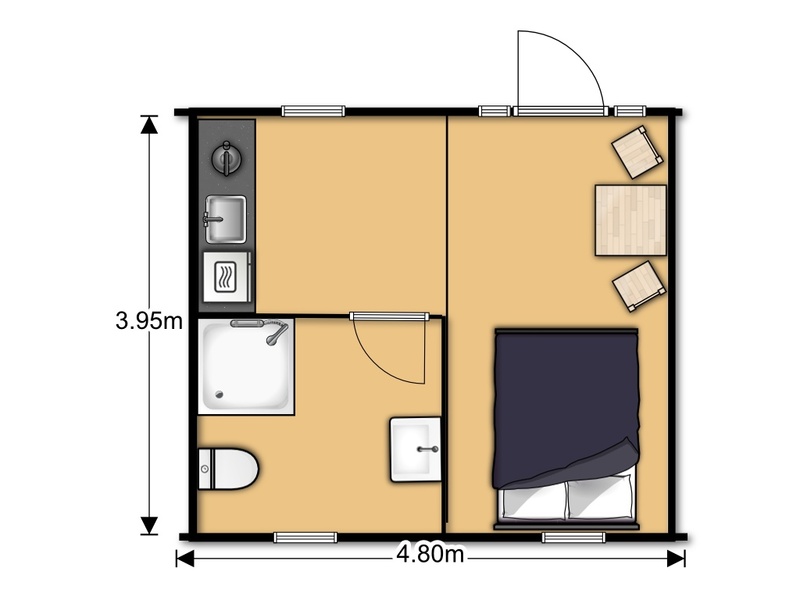 We have walls between modules or we can remove them to give a larger area. 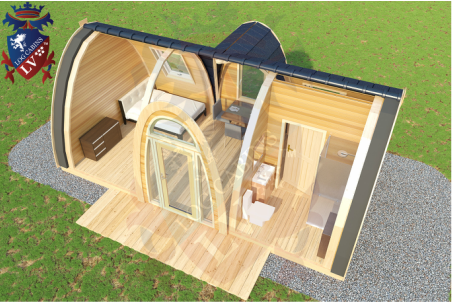 The modules are pre-wired with cabling allowing you to fit the final fittings that meet your requirements. 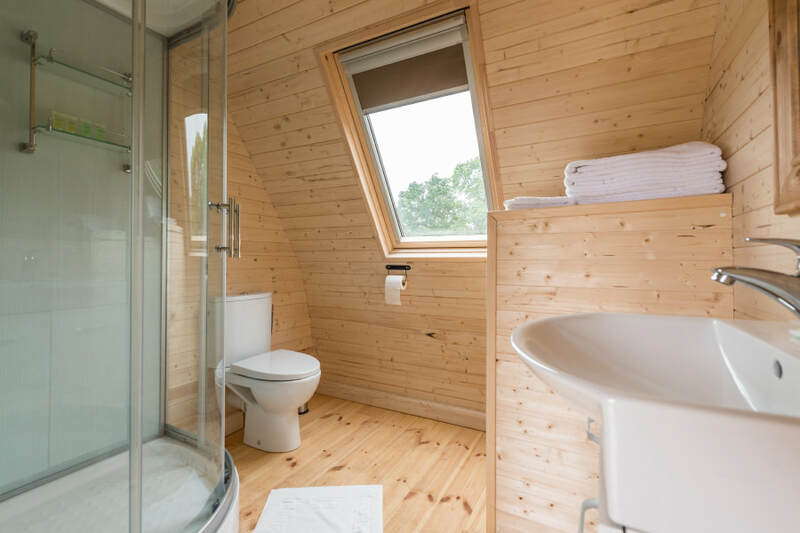 The bathroom module can be factory installed or pre-plumbed for final installation and connection on site after arrival. 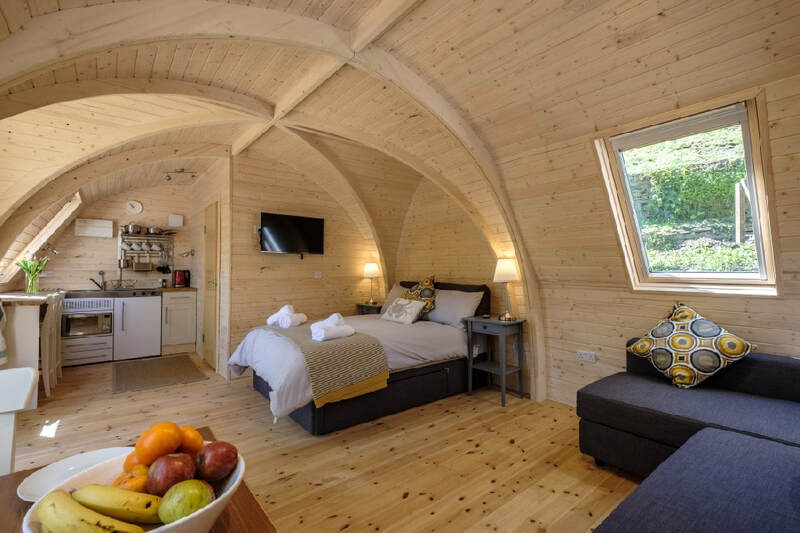 Coax cable can be factory added to allow all services to be delivered to your guests. 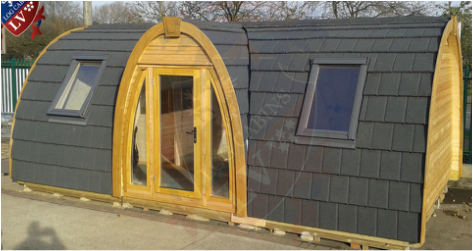 Customer fitted for holiday rental. 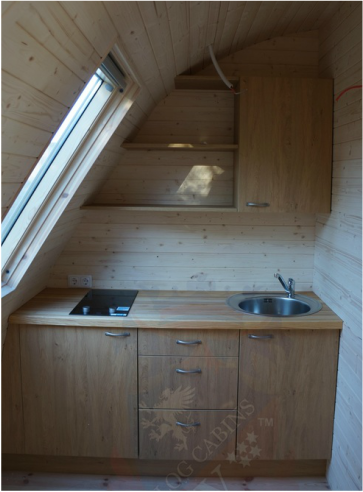 4.8m x 4m Camping Pod fitted as an Office. 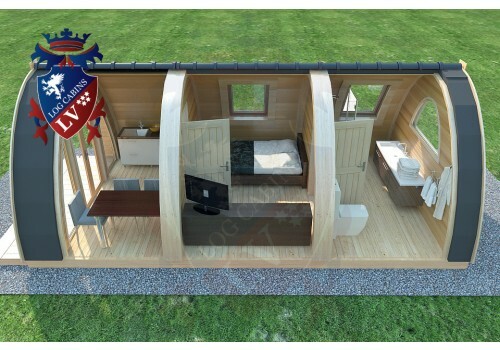 This new style of camping lodge is 4m wide and can be extended in 2.4m modules; initial sizes are 4m x 4.8m, 4m x 7.2m, ......9.6m, 12m and 14.4m giving the opportunity to create one or two bedroom models, a fully functional bathroom and kitchen, a lounge area or what ever you prefer to offer. 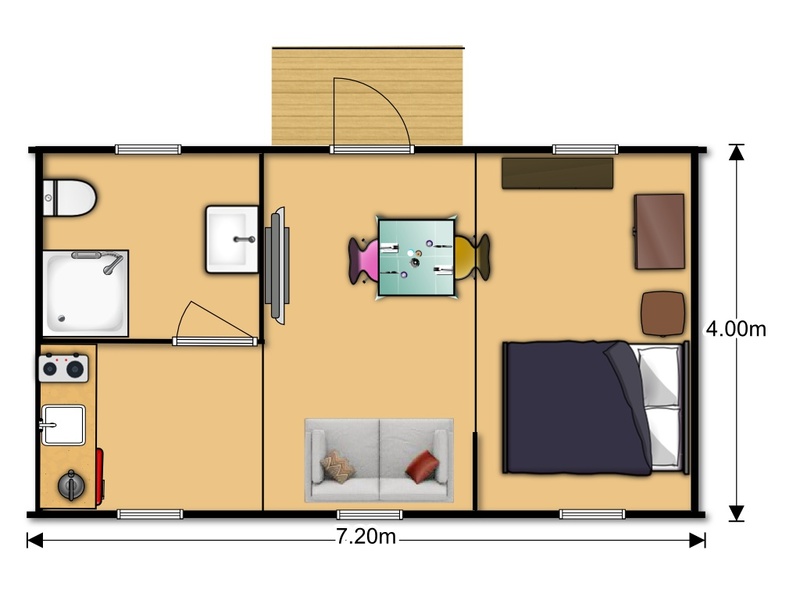 This 7.2m model has 28 sq m of luxury space. 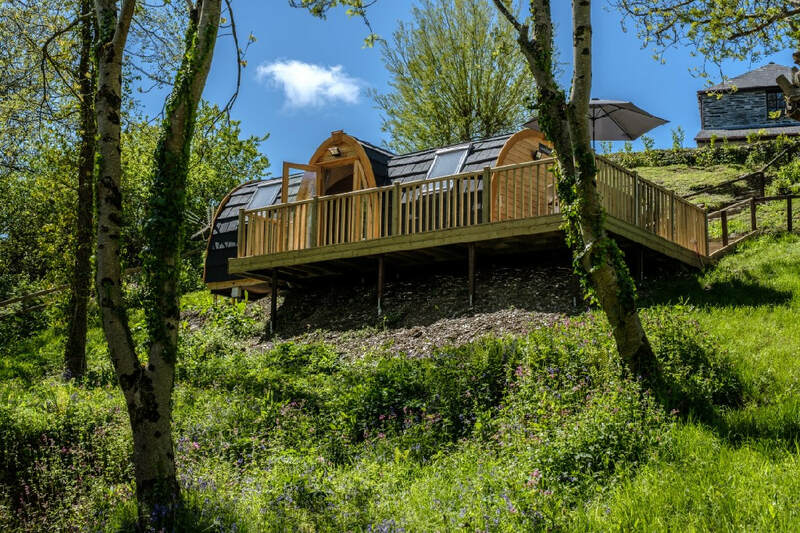 Orders still being taken for the 2019 season. 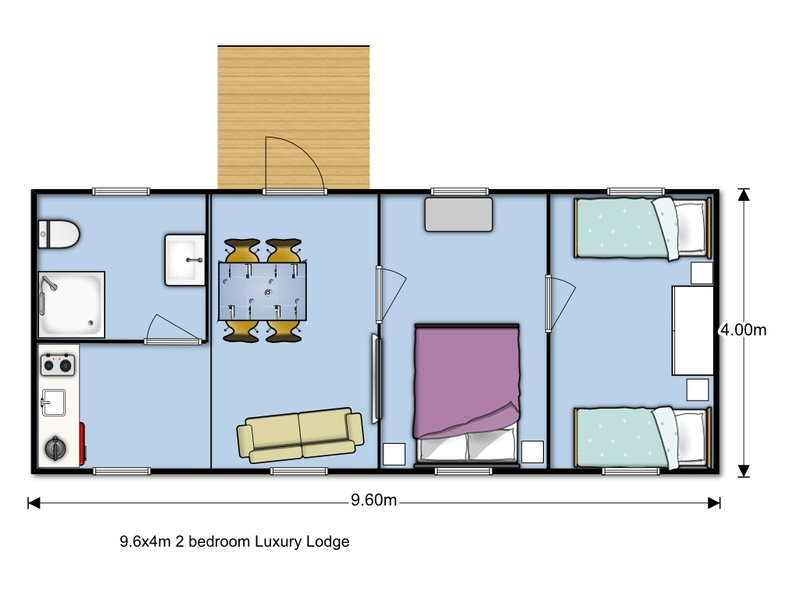 Leasing & Finance available. 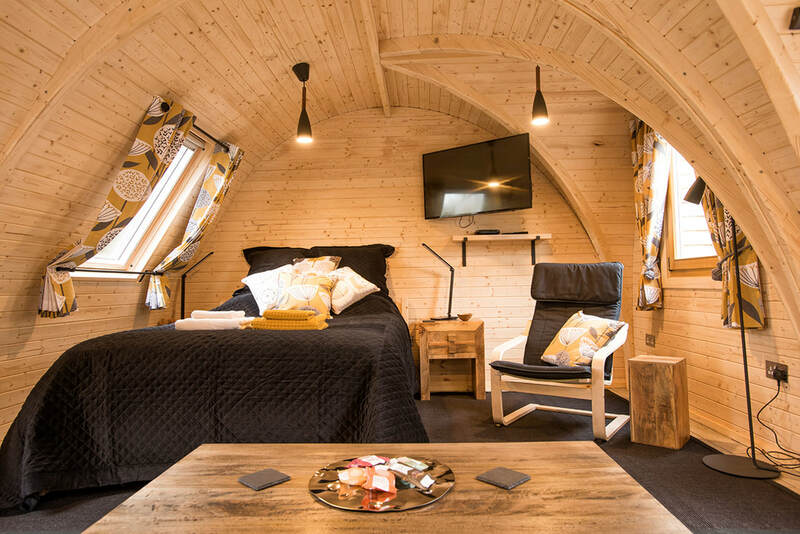 Glamping is about luxury, luxury is what you make it! 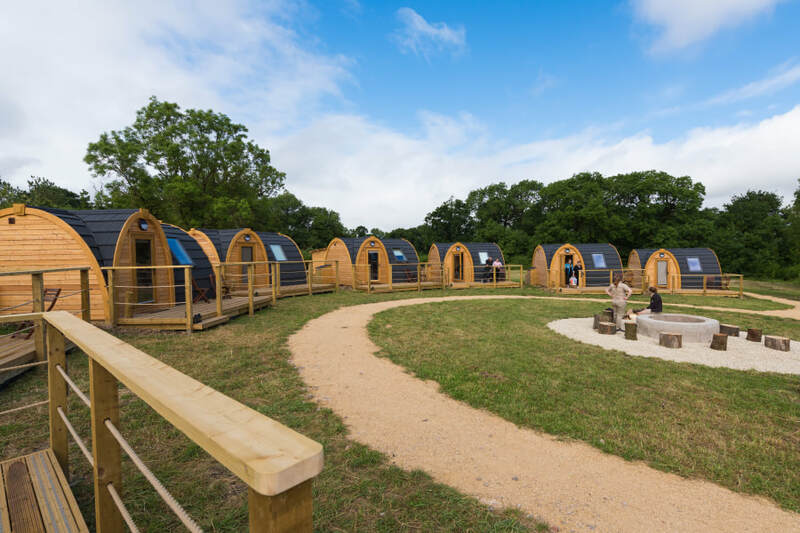 Our camping and glamping pods are the basis of a high quality luxury experience. 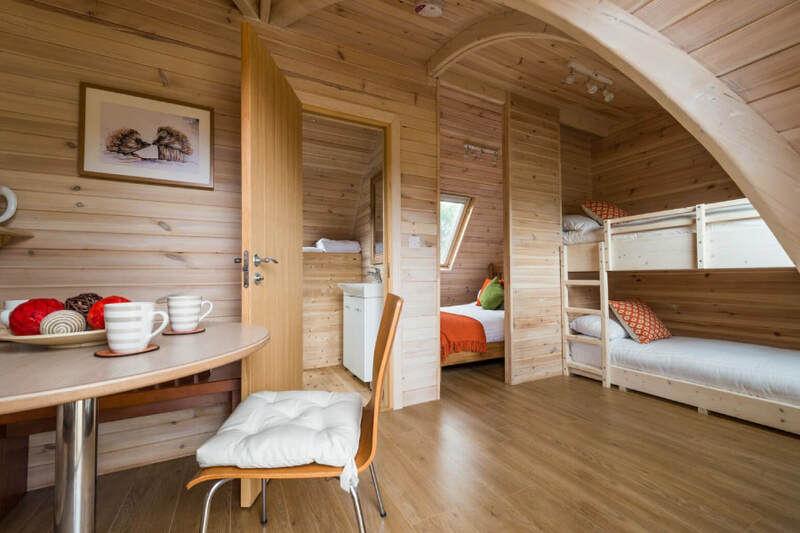 They can be used as chic hotel rooms or extra accommodation for hotels, pubs and bed and breakfast locations.